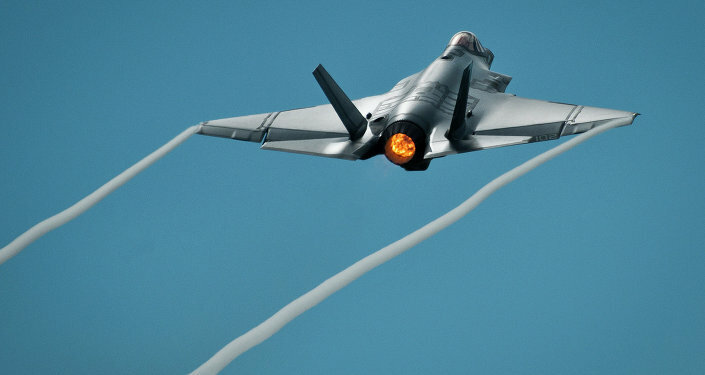 Critics are skeptical because the Air Force has hidden the exercises from public review and, according to a Wednesday report by Popular Mechanics, the service branch is "also heavily skewing the testing to ensure the new F-35 is presented in the best possible light." The F-35A's intended fate, to replace the F-16 Viper as the US Air Force's de facto fighter-bomber, has not been contested since the aircraft has gone into production, with service officials doubling down on the promise of the F-35 despite high costs, missed deadlines and a constant stream of technical difficulties. The F-35A and F-16 are both single-engine, single-seat aircraft as well, making the replacement of the F-16 fleet with the Air Force's F-35As a logical one. What has been controversial, though, is the argument that the F-35 can replace the A-10 Warthog for close air support. As Popular Mechanics notes, close air support missions require a plane to function basically as a flying form of artillery, something the A-10 is ideally suited for with its 20-foot-long Gatling-type autocannon jutting out beneath the aircraft's nose. The stealthy, high-tech F-35 may have a lot of new capabilities that other US Air Force aircraft lack, but it is certainly not tailored to what the A-10 does when it slowly roams through airspace near battlefields, remaining stationed and ready for combat for prolonged periods. Indeed, the A-10 was built for the specified purpose of conducting close air support. As RIA Novosti's military observer Andrei Kotz pointed out, "the experience of the armed conflicts of the second half of the 20th century (and the first wars of the 21st) has actually demonstrated that these simple, slow and unpretentious aircraft are able to perform missions where much more advanced, expensive and modern aircraft have proven useless." The A-10 is right there with Russia's Su-25 Grach (‘Rook'), Brazil's EMB-314 Super Tucano and Europe's Dassault/Dornier Alpha jet as one of the most formidable close air support aircraft in the world, as Sputnik News has reported. The Project on Government Oversight obtained a copy of test results for one flyoff already conducted between the A-10 and F-35 for the supposed purpose of finding out which aircraft is best suited for air interdiction on a battlefield. The drills took place from July 5 to July 8 at US Marine Corps Air Station Yuma in southern Arizona and Naval Air Weapons Station China Lake in California. The test scenarios favored the F-35 over the A-10 in a variety of ways, POGO found, including egregious oversights such as not consulting any Army or Marine units. "Since the services fighting on the ground have a primary interest in effective close air support, excluding them from this process borders on negligence," the watchdog reported July 10. Tactical Air Support Inc. was tapped by the Air Force to set up the flyoff, and, according to POGO's sources, who wished to remain anonymous because of the sensitivity of the subject, the Air Force's resident close air support expert, A-10 pilots and joint terminal ground attack controllers were never consulted while setting up the training course. Further, the F-35 Joint Strike Fighter Operational Test Team was also not consulted when designing the tests. "In other words, the test was designed by someone with a vested financial interest in the F-35 program, rather than by someone whose primary interest is its performance in combat," POGO noted. "The designers essentially created a laboratory demonstration to show how aircraft can hit non-moving targets in a sterile environment. This hardly represents the conditions when soldiers and Marines are locked in close combat with an enemy just yards away. In the worst-case, most urgent close-support scenario — the one in which these aircraft need to be tested — a small group of American soldiers are about to be overrun by a numerically superior enemy force with reinforcements too far away to help. Their only hope of survival is for an aircraft to appear overhead, raining deadly fire on the enemy soldiers, forcing them to take cover or retreat. Not one event during these four days of tests comes close to addressing or simulating this." All in all, the test was essentially a sham, according to the watchdog, which said: "Rather than telling us whether or not the F-35 can actually provide the kind of close support our ground forces need to survive and prevail, this grossly inadequate test has been designed to mislead." US Air Force officials and senior civilian service leaders can "undoubtedly" be expected to walk into the halls of power on Capitol Hill and proclaim, results in hand, that the "F-35 performed brilliantly, thus justifying bigger buys [of F-35 aircraft] and getting rid of the A-10 sooner," according to the report from POGO, which was produced by Dan Grazier, the watchdog's Jack Shanahan Military Fellow.